Office Space - Burslem, Staffordshire. 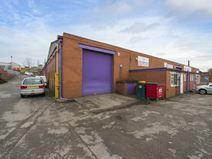 Units in a wide variety of sizes are available in Stoke on Trent with warehousing options. The location provides excellent links to local roads, including the M6.